Everyone sits in a circle. One person is chosen to be the “detective” and goes to a place where he or she cannot see or hear what is going on in the circle. Everyone in the circle closes their eyes. 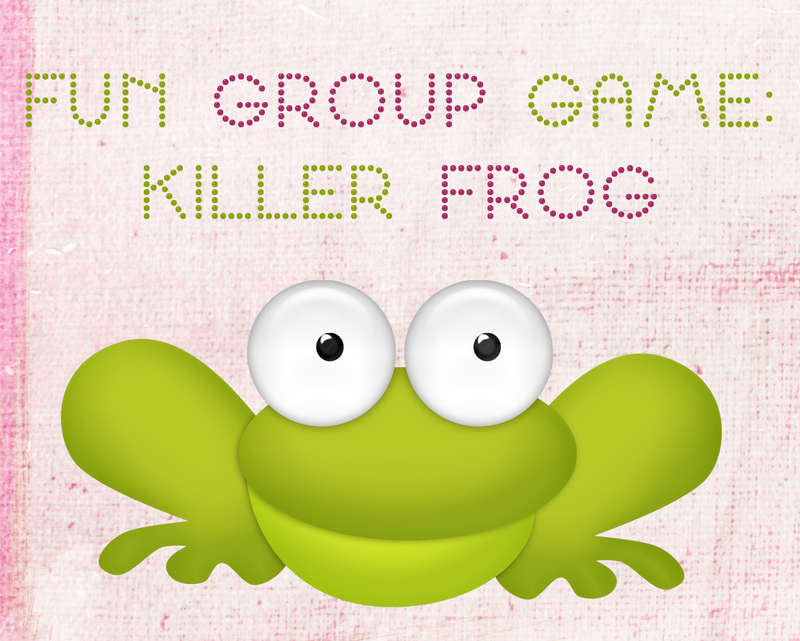 A teacher walks around the circle and taps someone’s shoulder, who now becomes the “killer frog, “but no one else knows who the frog is (at first). The detective comes back in. the participant who is the killer frog sticks his or her tongue out at random people around the circle, trying not to be noticed by the detective. When the frog sticks its tongue out at someone, that person must lay down as if dead. the detective gets three tries to guess the killer frog’s identity. If he or she succeeds, someone else is chosen for the next round. if not, he or she is the detective again. This entry was posted in End of the Year, Games and tagged Children, Education, Elementary School, Kids, Teacher Resources, Teachers, Teaching by Squarehead Teachers. Bookmark the permalink. Awesome game! Can’t wait to try this with my class!